A diagram is a 2D geometric symbolic representation of information according to some visualization technique. Sometimes, the technique uses a 3D visualization which is then projected onto the 2D surface. The word graph is sometimes used as a synonym for diagram.In this article, you will read about the 10 free Online Chart & Graph Generators. Chartgo is an free web based diagramming Application To Create Professional Graphs and Charts quickly. 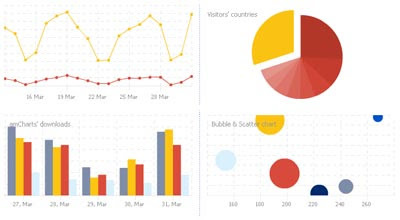 Create bar charts, line charts or pie charts. Simply paste your data in the chart data area and hit the create chart button. Chartgo is a very easy to use online application that offer various graph examples and you can easily modify them to suit your individual needs. Simple, quick and efficient. ChartGizmo is a free online chart builder that allow you to create charts for your website, blog and social network profiles. you can use chartgizmo to visualize your financial, scientific or other type of data, whether static or dynamic. Create chart from static data or collect information from you page dynamically. With chartgizmo you can easily create Pie chart, Bar chart, Line chart, Ring chart, 3D Pie chart, 3D Bar chart, 3D Line chart, Candle chart, Scatterplot and TimeSeries. All chart settings are fully customizable, so you can easily update and modified your chart. Piecolor is a tool that creates pie chart with colors very easily. 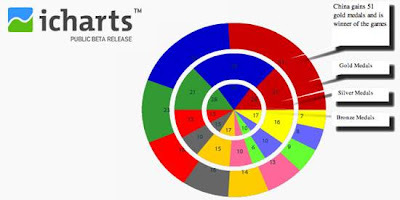 To create Pie Chart , you have to enter the number of slices for your pie chart, choose colors and size, add name for each pie slice, add background color. It also offers a 3D and 2D formats. ChartsBin is simple and interactive way of showing historical statistical data to chart or graph and we're focused on building the most exciting and engaging destination for statisticians, and computer scientists in the world. It will soon be offering the ability to embed ChartsBin charts into other web sites and download compiled dataset (CSV, XLS, SQL). 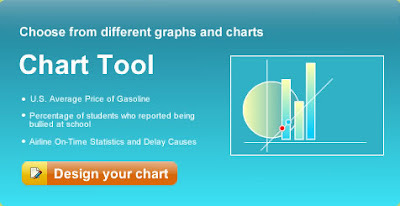 Onlinecharttool is very useful tools to design and share your own graphs online for free. 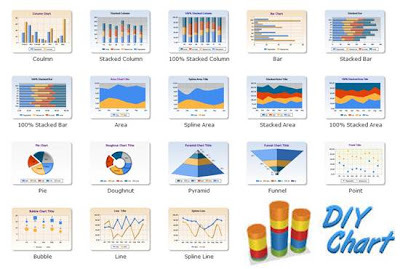 It supports a number of different chart types like: bar charts, pie charts, line charts, bubble charts and radar plots. DIY Chart stand for Do it Yourself Chart. it's a web based, simple and powerful online tool to create interactive charts and graphs from static or dynamic data which may be generated using any scripting language. it Support full updates and data streaming without reloading the web page and ability to export chart in a variety of image formats. you can easily embed chart in Blog or website by just copy & pasting HTML code. 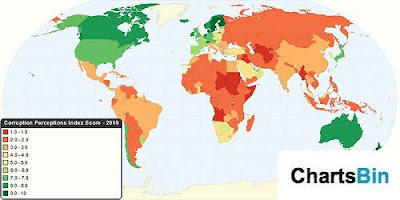 iCharts is a web based application that allow you to create sophisticated, searchable online charts. you can easily embed, share chart in your blog or website. you can also upload Excel sheets or manually add data to create, share and embed interactive charts within minutes. LucidChart is a web based collaborative flow chart authoring application that allow you to create attractive flow charts, org charts, and more for the web or print. you can easily collaborate your chart with your friends, colleagues and person who work on a document, and then work on it together simultaneously. When you save your changes, everyone sees your changes immediately, and conflicts are resolved automatically.